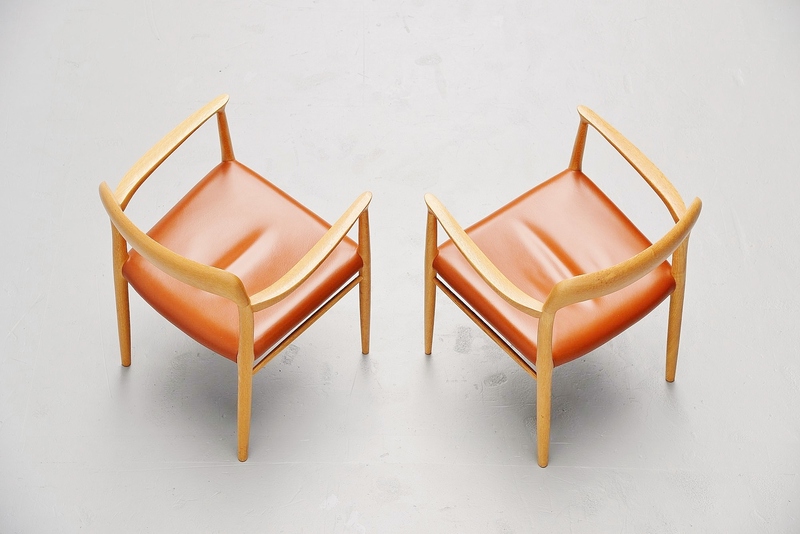 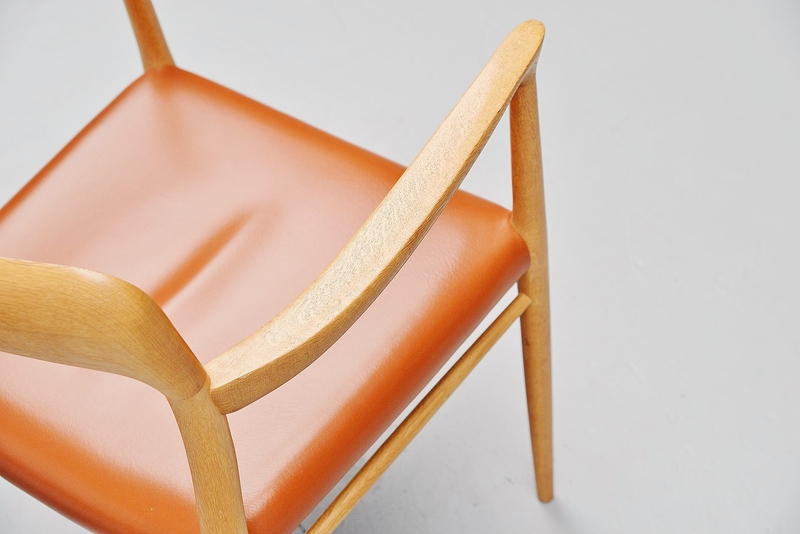 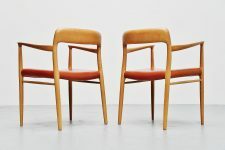 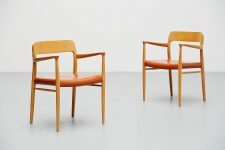 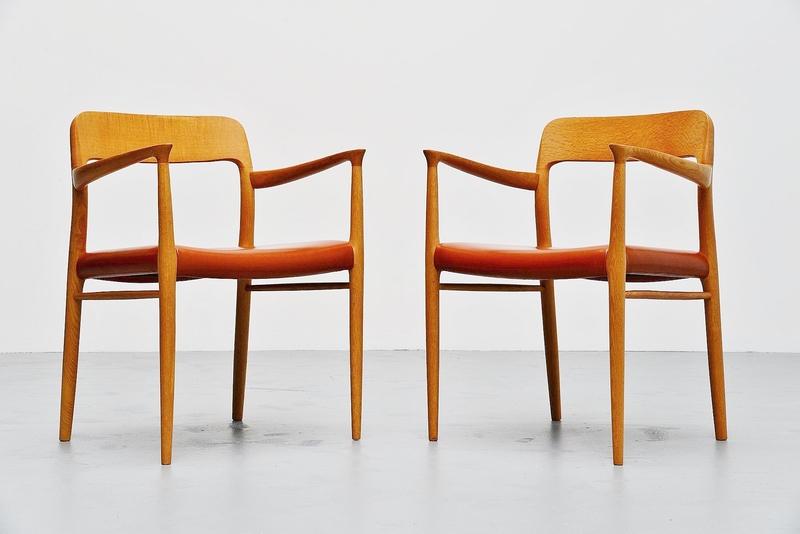 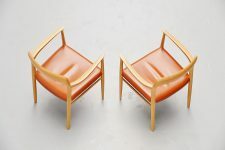 Very nice pair of arm chairs designed by Niels Otto Moller, manufactured by J.L. Møller Mobelfabrik, Denmark 1954. 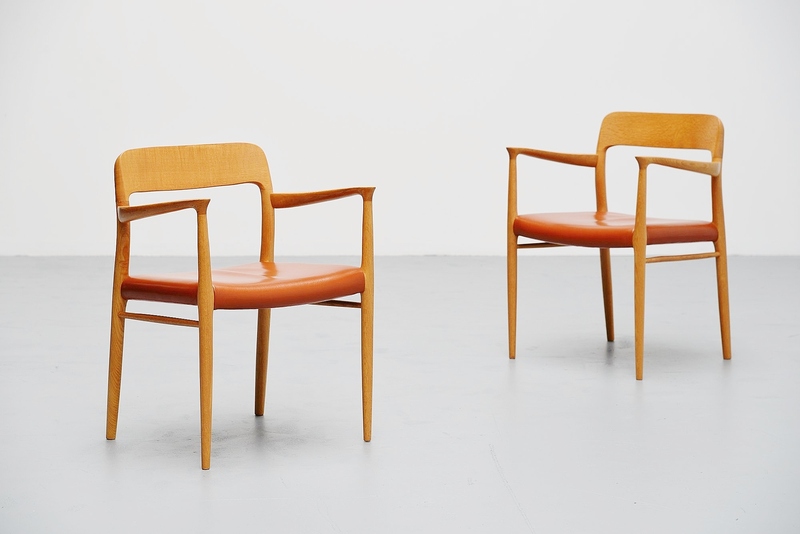 These chairs are made of solid oak wood and have very nice cognac leather upholstery. 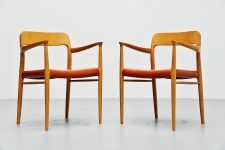 The chairs were hardly used by previous owner and are in impeccable condition. 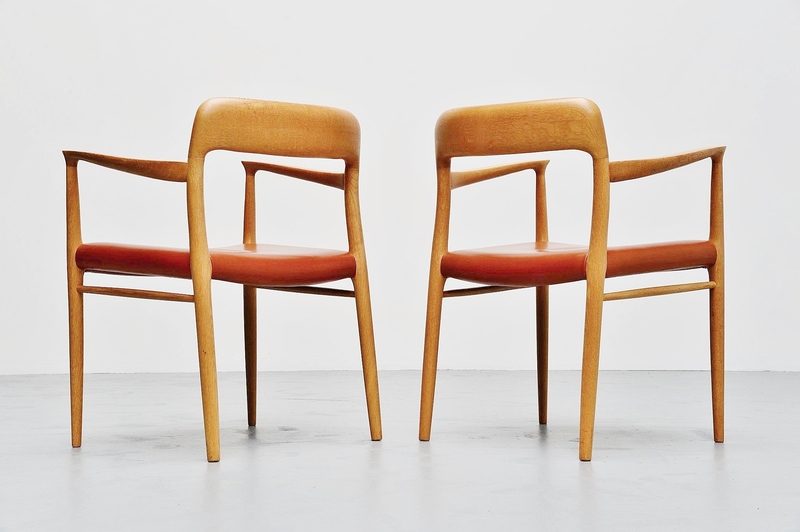 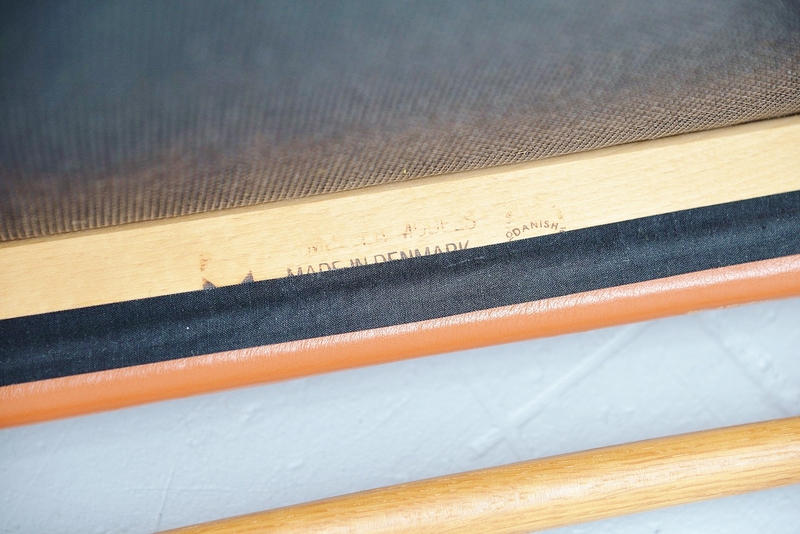 Both chairs are stamped underneath with the Niels Moller stamp.